On Thursday, after doing some research at the New York Public Library, I headed over to the Chipotle on 42nd st for dinner. 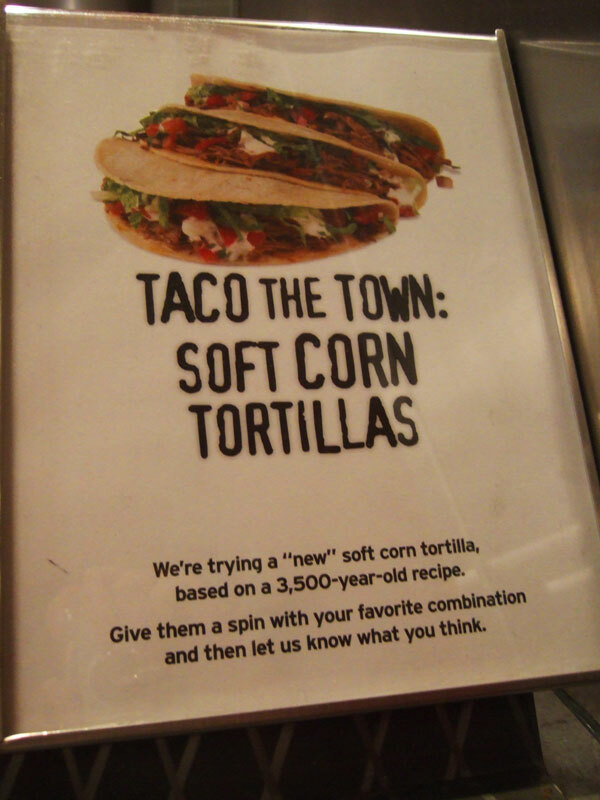 While standing in line, I noticed a sign tacked up near the tortilla press that said “We are trying a ‘new’ soft corn tortilla based on a 3,500-year-old recipe. Give them a spin with your favorite combination and let us know what you think.” 3,500 year old tortillas? Sold! The verdict? The tortillas were moist and delicate, with a rich corn flavor. But they tended to tear from the weight of the goodies inside. 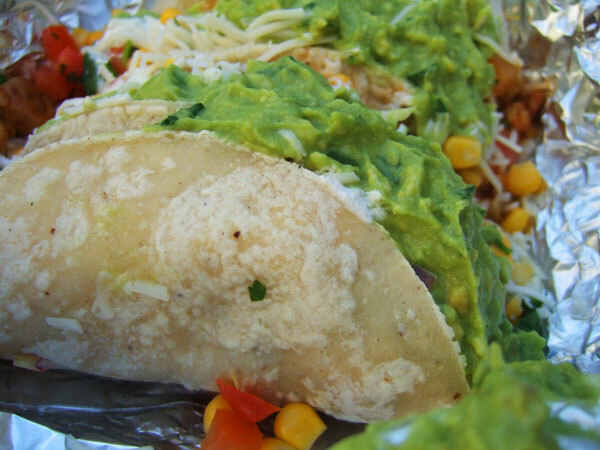 Chipotle’s soft tacos are usually made with flour tortillas, which are generally more durable. I was curious just how much tortilla recipes have changed over the past 3,500 years; Edible Queens obliged my curiosity by publishing an article in their spring issue about Tortilleria Nixtamal, a taco joint that’s revolutionizing food by making their tortillas the old fashioned way (read the article here). Pick up a copy of the magazine to learn more about different types of tortillas, how much they have changed over the years, and why tortillas in mexico taste the best. And keep an eye out for new corn tortillas in your local Chipotle. If you live in the NYC area, you should check out Tortilleria Nixtamel in Queens. Best I’ve ever had!